This week sees the filming of the second instalment of Glencor Golf Holiday Show with some of YouTube’s favourite golfing vloggers heading to the Costa del Sol. Peter Finch, Matt Fryer and Andy Sullivan (The Average Golfer of Teeuplo) will be playing golf and reporting on the trip via their usual channels and social media platforms. They arrive today and have a full programme of sightseeing arranged for them by the Costa Del Sol Tourist Board. 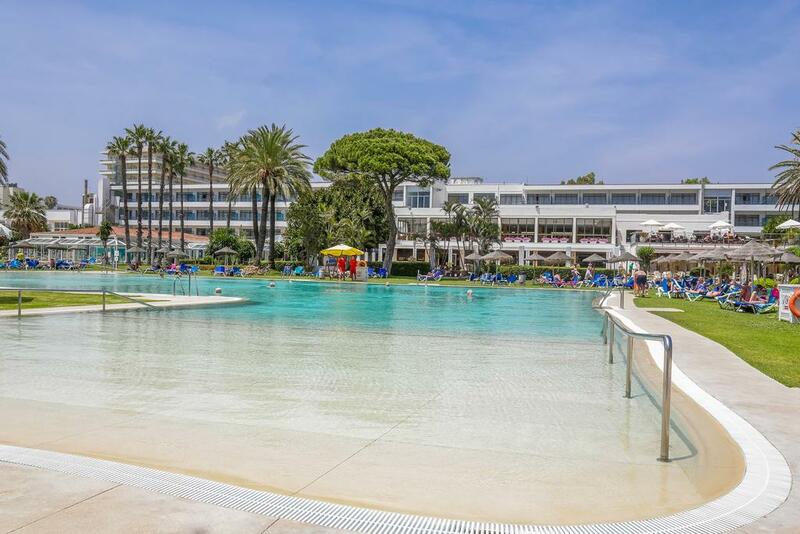 From the Airport they head west along the coast courtesy of our transfer partner, Simply, Shuttles to check into the four-star Sol Marbella Estepona Atalaya Park Hotel. This Hotel has recently been renovated and now offers excellent accommodation and facilities. Located only 6kms from Puerto Banus and with two golf courses on the resort it’s the ideal place for a golf holiday. Once checked in they will transfer to Marbella and have lunch at the Los Mellizos restaurant followed by a walking tour of Marbella and its beautiful old town. Later in the evening they will be treated to fantastic food at the La Sala Puerto Banus restaurant. Following a good night rest, it’s an early start to get transferred to The Westin La Quinta Golf Resort for their first round of golf. Designed by Ryder Cup winner Manuel Pinero it’s one of the old established courses and has a great reputation. Set in Golf Valley it has been extended to 27 holes and is best described as a playable course that will satisfy players of all standards. After lunch they will be taken to one of the areas most popular tourist attractions the town of Ronda. They will be on a walking tour which we are sure amongst many places of interest they will visit will be the bull ring, the Arab baths and a walk around the walls. In the evening they will travel to Benahavis which is a beautiful Andalusian old town, white washed buildings nestled in the hills with lots of beautiful restaurants to sample. An early start again for a round on one of the resorts two courses. After lunch there they will get their hiking boots on and discover Caminito del Rey. Once described as one of the most dangerous walkways in the world the Government have spent considerable sums of money to make it safe for visitors and it now provides a spectacular 7KM walk through mountain gorges with spectacular views. By the time they have finished they will be ready for food and for that they will enjoy the Bibo Dani Garcia restaurant. Run by award winning chef Danni Garcia, they are sure to experience a night of culinary excellence and hopefully taste some of the region’s best wines. The Incredible Caminito Del Rey! A switch of hotels, this time staying their final night at the Melia Sol Don Pablo to see what they have to offer with just an afternoon round of golf at the famous Torrequebrada golf course. Opened in 1976 it has long been regarded as one of the best courses in the area and is the perfect venue for their final round of golf. There are several memorable holes on the course designed by Pepe Gancedo with the eighteenth being one of the best finishing holes in the area. It’s a picturesque course with views of the mountains and the sea and is understandably one of the most popular courses on the Coast. After golf they head to the town of Malaga and have a walking tour of the City. Malaga has benefited from major investment over the last few years and although it’s not on most people’s sightseeing radar it really should be. It’s one of the oldest cities in Europe and is steeped in history with a wealth of places of interest to visit. Certainly, the Picasso Museum is a must-see attraction. Having worked up a hunger after a long day, they will head to El Pimpi restaurant for dinner. The El Pimpi is situated in the centre of Malaga and as well as serving excellent food it offers a wide range of both local and foreign wines. Time to go home to rest and recover from what should be an exciting, if tiring, trip. Make sure you watch their videos and enjoy the fun!